As a marketing technology partner to enterprise brands, ReviewTrackers works closely with executives in a wide range of industries, including healthcare. It is so exciting for our team to see how the patient experience has become a top priority for organizations. At the same time, we have also been inspired by the examples of individuals who work tirelessly to bring their knowledge, talent, and passion to take healthcare leadership and management to the next level. 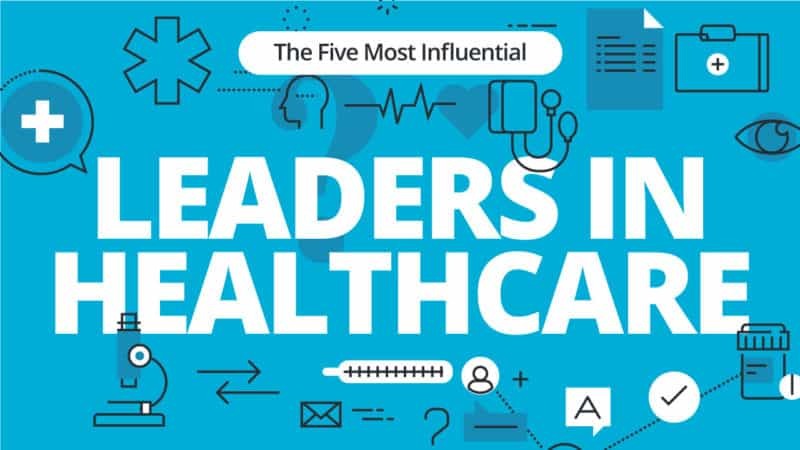 Here are five influential healthcare leaders who have made significant advances to create a society where everyone has access to quality medical services and healthcare. Why he is influential: Dr. Frieden has been the director of the Center for Disease Control and Prevention since 2009. As the leader of our nation’s health protection agency, he prioritized efforts to decrease infections in healthcare settings, cutting certain life-threatening infections by 33 percent or more. Dr. Frieden also created a monthly publication that covers today’s most critical health problems, guiding the public health community, healthcare brands and organizations, and clinical providers to actionable solutions. Previously, he was the commissioner of the New York City Health Department (from 2002 to 2009), where he successfully implemented the ban on smoking in bars and restaurants in New York, reducing the health risks associated with second-hand smoke. Dr. Frieden also worked to reduce the amount of smokers in New York by 350,000 and even reduced teen smoking by half, according to the Centers for Disease Control and Prevention. As a result, deaths caused by smoking decreased by 17 percent in New York during his time as commissioner. Why he is influential: Dr. Gurman, an orthopedic hand surgeon known for his professional stewardship and patient and physician advocacy, leads American Medical Association’s efforts to address gun violence as a public health issue, asking the government to fund research regarding gun violence. Why she is influential: Dr. Lavizzo-Mourey is the first African-American woman to become president of the Robert Wood Johnson Foundation, one of America’s largest philanthropic organizations dedicated to healthcare. In her leadership role, she oversees grants with a focus on improving access to affordable, quality care, and addressing socio-economic factors that affect health. A medical doctor with an MBA from Wharton, Dr. Lavizzo-Mourey has helped advance the Culture of Health, a movement designed to improve everyone’s overall health and create healthy communities. She also successfully led a movement to reverse the widespread issue of childhood obesity. The obesity rate has stayed at 17 percent for children ages 2 to 19, according to the Centers for Disease Control and Prevention. For children 2 to 5 years old, the obesity rate has decreased to 8.4 percent in 2011 to 2012 from 13.9 percent in 2003 to 2004. In 2014, Forbes listed Dr. Lavizzo-Mourey as the 88th most powerful woman in the world. In September of this year, she announced her retirement and said she will step down as president and CEO of the Robert Wood Johnson Foundation once a successor is in place. Why he is influential: In his leadership role, Dr. Chassin oversees the activities of America’s predominant standards-setting and accrediting body in healthcare. The Joint Commission Center also works with hospitals and health systems to solve issues such as wrong-site surgery and infections at surgery sites. Previously, Dr. Chassin was the Edmond A. Guggenheim professor of health and policy. He was also the founding chairman of Mount Sinai’s School of Medicine’s Health Policy department. Why he is influential: Gilfillan is the Task Force Chair of the Health Care Transformation Task Force, an organization that aligns healthcare’s private and public sector with the goal of transforming the entire system of healthcare. Since 2013, he has also been the CEO and president of the not-for-profit health company Trinity Health, which “serves communities in 22 states with 93 hospitals, 120 continuing care facilities, and home health and hospice programs that provide more than 2.5 million visits annually,” according to the company’s website.